Home > > Vehicles > 25588 > 2017 Jeep Wrangler Unlimited SOLD!!! 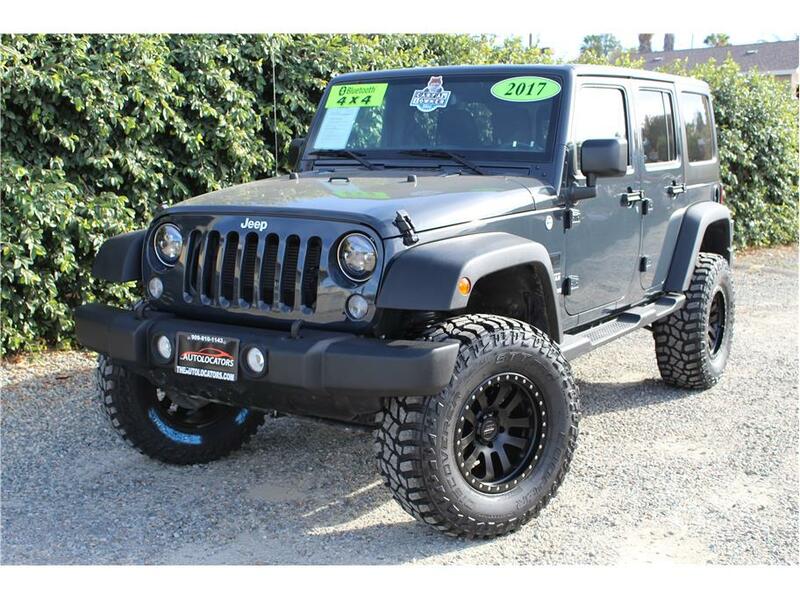 This 2017 Jeep Wrangler Unlimited Sport has a 3.6L V6 engine with and automatic transmission and only 25k! Our Rhino Gray Jeep has great modifications like a 3.5 inch ProComp lift to clear a set of five ProComp wheels wrapped in 35 inch MXT tires, a Smittybilt oversized tire carrier that holds a matching spare and LED headlights to light the path you’re conquering on this beast of a Wrangler. While it is a rugged looking Jeep, it does not lack comfort with power group throughout, Bluetooth, steering wheel controls for most accessories and easy access running boards. We just put this Wrangler through a complete 151 point inspection by licensed repair shop and it received a fresh oil change service, air filter, new battery, cabin air filter, front and rear wiper blades. A one owner Jeep in this condition is hard to get and will not last. Don’t let is slip you by and come test drive it today.